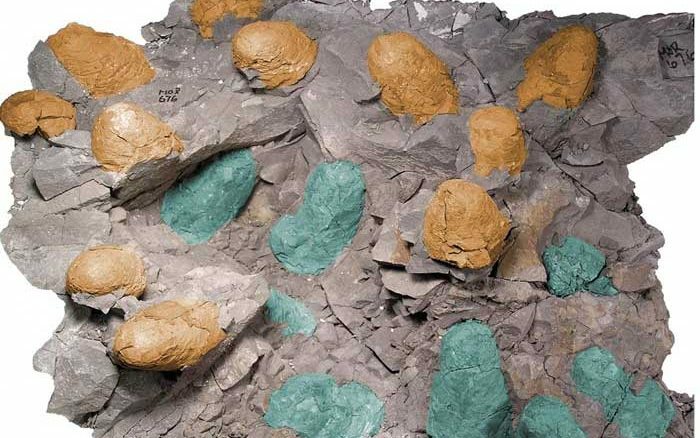 A pair of fossilized dinosaur nests offer some of the strongest indications yet that certain dinos brooded their eggs, re-used their nests, and possibly defended their nesting territory much like some modern birds, paleontologists say. The two nests were found half a world apart, and separated by eons, but they bear some crucial similarities. Both contain the fossilized remains of multiple egg clutches, apparently laid in close succession. And both belonged to the theropod dinosaurs known as troodontids — small, two-legged, meat-eaters thought by some to be among the most bird-like of extinct dinosaurs. One of the fossil nests was found in the Liantoutang Formation of eastern China and dates back about 95 million years, while the other, from northwestern Montana, is 75 million years old. In addition to reinforcing troodontids’ apparent similarity to birds, the new discoveries provide extremely rare insights into the dinosaurs’ actual behavior, including their habits as parents. 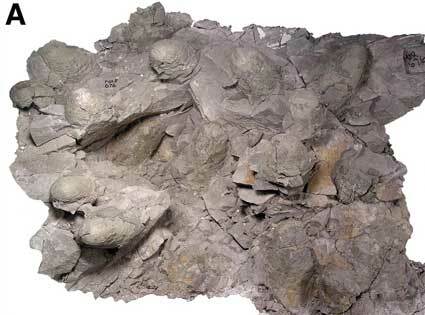 Dr. David Varricchio, a paleontologist at Montana State University, explained that the re-use of a site for breeding — known as site fidelity — has been glimpsed in the fossil record before, but it’s been difficult to tell whether different clutches of eggs found in other dinosaur nests were laid by the same individual, or whether they were used by different members of the same species thousands of years apart. “I think [this discovery] is important, because it really moves away from [specimens] where the timing is very vague and the sites likely simply reflect members of the same species, to a very short time frame, and potentially the same individuals. The two nests were discovered by separate teams in 1994 and 2010, but soon began to show some striking similarities. Moreover, both nests revealed two distinct layers of egg clutches: In the case of the Chinese nest, one clutch of 14 eggs appeared directly on top of at least 5 others that remained partially buried within the nest. In the Montana nest, eight eggs sat closely on top of the shells of 11 previously hatched eggs. “It is tough to say definitively, but the spacing is very close, and in the Chinese example, the uppers cross-cut the lower,” Varricchio said. The Montana specimen is only the second theropod nest found in North America that contains multiple clutches of eggs, Varricchio noted. The first, uncovered by Montana State’s Dr. Jack Horner in 1982, also displayed multiple egg clutches laid by a Troodon, but the layers were much farther apart in position, and therefore in time. “Horner had nests separated by a meter of sediment, likely a long time,” he said. The clutches in the newly found specimen, by contrast, are only 3 to 5 centimeters apart. “So, these are of a much finer temporal and individual scale,” he said. “Potentially, they imply Troodon, and other troodontids, were tied to their nesting localities and that these were important,” he added. “Dinosaurs like Troodon were invested in egg laying and care,” he said. 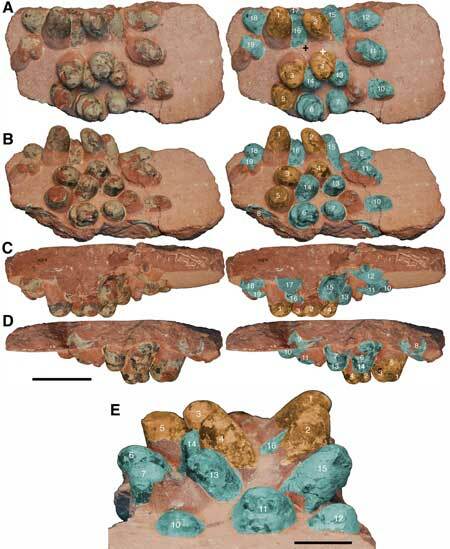 Varricchio and his colleagues report their finds in the Journal of Vertebrate Paleontology.